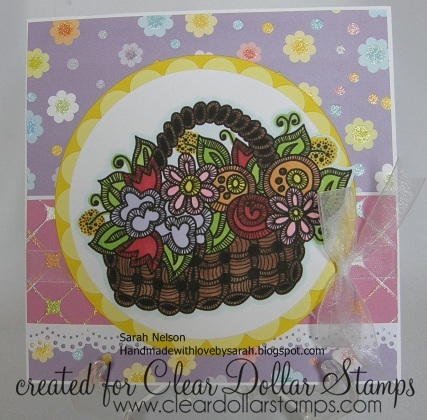 Today at Clear Dollar Stamps, there is a huge new release! I'm previewing two new digital sets today, Gardens and Wedding. Each of these sets is packed with a great variety of images and sentiments! My first card uses the new Gardens digi set. I had to angle my card just a bit so that the glitter on the dp wouldn't cause too much glare for the camera. The card really is square! I didn't have a specific person in mind when I made this card, so I didn't include a sentiment. It's helpful to have some cards on hand that you can write get well or happy birthday inside as the need arises. 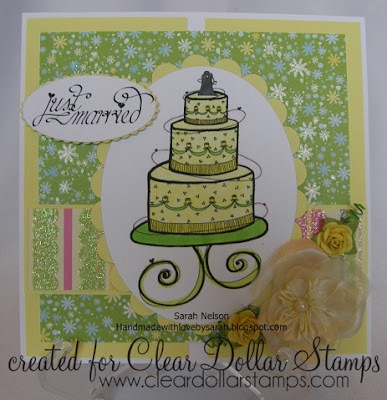 Papers: white, light yellow, yellow, dps from DCWV "The Glitter Stack"
My second card features the new "Wedding" set. I thought this tiered cake with the hearts swirling out of it would be a fun image to color. The cake topper is a silhouette of the bride and groom kissing. 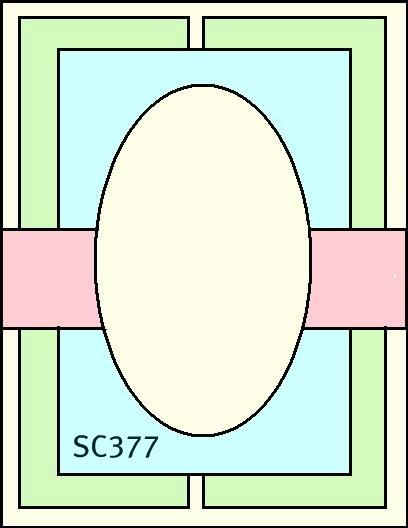 I used SC 377 for my layout. 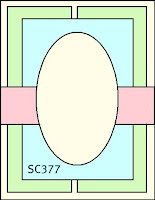 Papers: Whtie and light yellow CS, dps from DCWV "The Glitter Stack"